We have reached the pinnacle of success and earned a reputed name by providing the high-quality range of Packing Boxes. Price Range: 20 Rupees to 30 Rupees per Piece. 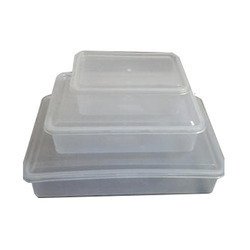 We have marked a distinct and dynamic position in the market by providing a high-quality array of Plastic Food Container. 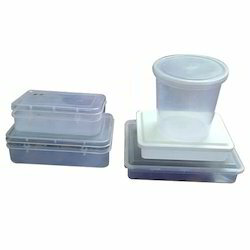 Our organization is widely acknowledged in this domain as the leading firm of Plastic Rectangular Container. Backed by huge industry experience and market understanding, we are involved in trading a wide variety of Plastic Storage Container for our valued patrons.